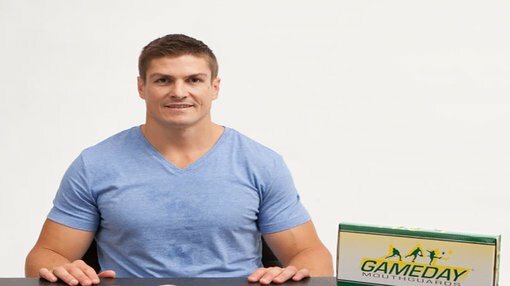 Following its promise to deliver high-profile ambassadors, Gameday International – which is currently being acquired by Mount Magnet South (ASX:MUM) – today announced the inclusion of West Tigers NRL player Matt Ballin as a Gameday ambassador. Ballin played six consecutive finals series for the Manly Warringah Sea Eagles (2008-2013) and played in three NRL Grand Finals, winning two premierships. He is also third on the list of players for consecutive games played, famously playing 182 games in a row. The former Queensland State of Origin representative is currently injured after suffering a broken leg in his last match, but is expected to return in round nine with his Gameday Mouthguard in tow. As a qualified secondary health and physical education teacher, Ballin is well positioned to spread the message about safety in sport. MUM CEO Matt Weston believes Ballin, a 2014 Philips Sports Dad of the Year finalist, is the perfect fit to promote both the product and the safety aspects surrounding contact sports. “Our two key market segments are parents or relatives buying mouthguards for children or adolescents, and mature aged social athletes,” Weston said. Matt Ballin with the Gameday mouthguards. Weston said that the NRL is a logical sport to invest its resources due the nature of the game. Mount Magnet South, to be renamed Impression Healthcare, has thus begun a feasibility study on a number of athletes across different codes who would be suitable brand ambassadors. “We are looking at other athletes from different sports that we believe may also fit the Gameday brand and buy into the company’s vision of increasing safe play through the increased use of custom mouthguards in Australia,” Weston said. Ballin will use his profile to promote the benefits of custom made mouthguards against over the counter boil and bit products. He will do this through sporting carnivals and events and through various media opportunities.